Lack of knowledge of the symptoms of ovarian cancer among the population means that too often women are referred to hospital too late for treatment to make a difference. The recent tragic death of Charlotte Brosnan in her early 40’s from ovarian cancer, following the death of her mother also from ovarian cancer years before, has brought ovarian cancer back to the forefront of minds. Martin Barrow’s subsequent recent article in The Times highlights only too clearly the risks of late diagnosis caused by the often non-specific nature of the symptoms of this cancer, dubbed the ‘silent killer’. Very often tumours and cysts can be extremely advanced before a woman notices them and consults their GP and this need to be changed to increase survival rates. Even after seeking medical advice, because of the common nature of the symptoms, there can be a further delay in diagnosis by exploring the possibility of less serious conditions such as irritable bowel syndrome or kidney infections. Christine Turner (who runs Cancer Research UK’s women only fundraiser: The Race for Life) reports that she had a typical experience when she suffered a 6 month delay in referral while tests for IBS were analysed. It was only when she suffered serious pain that she was admitted to hospital and when she had a CT scan to investigate a possible diagnosis of kidney stones it was found that she had a mass around her ovaries. Statistics published by Target Ovarian Cancer reveal that the UK’s survival rates from Ovarian cancer are amongst the lowest in Europe, which confirms that there is much more that needs to be done to (1) improve awareness in women of the symptoms and when they should seek advice; and (2) to improve knowledge among healthcare professionals of the possibility of a diagnosis of ovarian cancer when they are consulted by a patient with these symptoms so that tests can be carried out as early as possible. 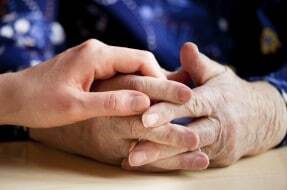 In an article publish by the BBC, Annwen Jones, Chief Executive of Target Ovarian Cancer, also reminded people of the often unknown family links of ovarian cancer and encouraged women to firstly know their family history on both parents’ sides and to talk to their GP with any concerns. In recent years the Clinical Negligence Team have acted for a number of young and older women who had a late diagnosis of ovarian cancer; they had given accurate descriptions of their symptoms to their doctors but were still not referred because the symptoms were attributed to other conditions. When they were finally referred the cancer had progressed to an advanced stage, which can involve long and difficult courses of treatment and ultimately, sadly, early death. This could have been avoided with earlier referral. It is important to seek specialist legal advice if you believe you should have bee diagnosed at an earlier stage to ensure your concerns are fully investigated and appropriate compensation received. It is important to have a low index of suspicion when symptoms appear and keep a note of how you feel day to day so that you can give an accurate history to your GP and increase your chances of a correct diagnosis and early life-saving treatment. It is however also then vital that GPs have the same low index of suspicion and seek accurate information from women about their symptoms when ovarian cancer is a possibility to ensure prompt diagnosis and to improve the UK’s survival rates from this condition.